This is a spacious shotgun style home dating back to the early 1900's. Here in new orleans we like our old homes to be quirky and pleasantly crumbly in all the right spots. We hope that you enjoy the authentic character that brings to your stay. There are 2 queen size European pillow top beds each in their own rooms and 2 futons. 1 futon has it's own room with a small half bath. The other futon is in the front parlor and also acts as the couch. Both are full size and best for children or single sleepers. We could accommodate as many as 6! You will be staying on the first street that begins central city and is adjacent to the garden district. It is a working class family neighborhood with many generations of the same family on one street. I lived in this house for 12 years and have a great deal of respect for the neighborhood's uniqueness and deep historical roots. If you're lucky, during your stay, you might catch a mardi gras indian 2nd line parade. Although it's quiet in the house, once you open the front door you'll hear the sweet sound of a brass band coming down the street. 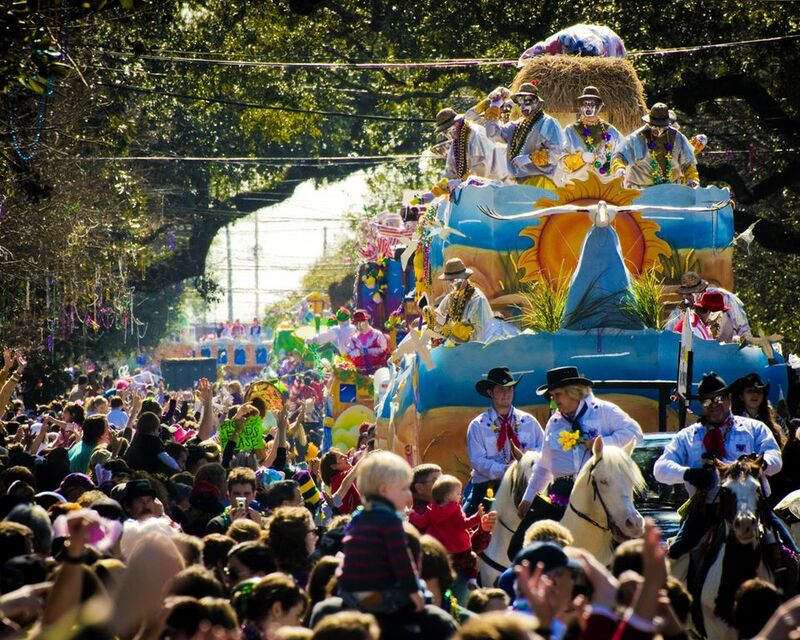 During mardi gras time the uptown daytime and nighttime parades are only 1 1/2 blocks from the front door! On the corner is Verret's bar and lounge. They have a full bar and back patio where music and dancing can be enjoyed. Occasionally they serve food such as a monday night pig roast. The Saint Charles street car can take you to the french quarter or further uptown to the Audubon Zoo and University area. It is not heated or cooled, so please keep that in mind when dressing for the day. The city bus is also an option and will meet you at the same stop. There are a couple of cab companies that i would recommend but are unreliable during our cities major festivities. Also available for your transportation needs are bike rental shops. If you are driving, there is free parking on the street. Uber is also a wonderful resorce that this city can offer. Wireless internet is available. There is also a fully functioning cottage-style kitchen. Although with all the excellent restaurants within walking distance, you probably won't be using the kitchen much. My husband and I love this city and its rich history. We'll be happy to give any recommendations or answer any questions you may have. We are also more than happy to hand over the keys and give you your privacy. We no longer live on the premises but are a phone call, text, or 15 min drive away. Please note that when traveling in the summer, specifically July and August, that Louisiana gets extremely hot and humid. Private homes will be on the warmer side. My family and I lived in the home for 12 years and found the window units in each room to be more than sufficient. If you're use to ice cold air conditioning or have never been to a tropical climate then a hotel may be a better fit for you. My husband and I love this city and it's rich history. I've lived in New Orleans for 16 years and my husband for over 20. We'll be happy to give any recommendations or answer any questions you may have. We are also more than happy to hand over the keys and give you your privacy. We no longer live on the premises but are a phone call, text, or 15 min drive away. This house is located 2 bks from the historic Garden District, 2 blocks from the Mardi Gras parade route and street car stop. If you enjoy discovering urban areas by foot, there's really no need for a car. There's a RedZone on the corner that will provide you with any immediate grocery and alcohol needs. There is also a grocery delivery service through the instacart app. when you arrive simply download the app to your smartphone and add your new New Orleans address! Renting this house means you will be staying in a part of history. This home is over 100 years old. Original heart pine floors, 12 ft ceilings, mantle pieces, pocket doors, and a shot gun layout means you will be living the true New Orleans life. This sweet cottage has withstood Betsy, Katrina, and Gustov, come be a part of it's living history! Some staples such as coffee, tea, sugar, salt, pepper, and breakfast basics such as, cereal, milk, juice, muffins, and fruit. Easy access to streetcar. House is clean. Beds are comfortable. Nice character. Able to park close. Great house! Great location! Great vacation! Very nice traditional house. The location to the trolley and freeway is perfect. House is exactly as advertised. Beds were soft and inviting. Nice neighbors and neighborhood. We would stay there again! There is nothing bad to say!!! All amenities were available and super comfortable. We enjoyed our stay! Big surprise was the complimentary Girl Scout cookies. Who doesn’t enjoy that? Loved our stay and will certainly stay again ! Just as advertised, a lovely place to stay. Great value. Great location. Walking distance to the trolley on St. Charles. Walking distance to the corner mini mart. The three bedrooms worked great for a sisters getaway. Note: the third bedroom is a futon sofa/bed. Kitchen well appointed. Loved the front porch and backyard sitting area. Lovely home with a lot of character and charm. Lots of sleeping space, and close to the streetcar. Cozy place! Just what we needed! My husband, our two sons and I enjoyed our stay very much. Though the house is older, it is very comfortable and had such character. The weather was all over the place, so we used the window units and heat and it all worked great. The linens were so soft! The neighbors were friendly and we were able to park right in front of the house. It was so easy to get to the street car so that we could easily explore the city. Kelly was quick to respond and answered all my questions!